David has a track record of successful development and value creation in the hotel sector, co-founding CEO of City Inn that became Mint in 2010. By developing a new hotel brand from scratch in an Edinburgh office at 8 St Andrew Square, to two of the most successful hotels in Europe ever, 2700 rooms and 1500 careers, David has a unique track record in brand invention, property development, hotel operations, customer advocacy and value creation. Earlier in his career, David was a partner in a property advisory company where he led recovery of commercial property assets and advised blue chip clients on landmark development and investment projects. David conceived and 'drew up' the concept and initiated the Harvey Nichols flagship into Edinburgh. 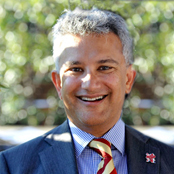 David is Chairman at Fraser Giles Partnership a Hospitality, Travel and Leisure Executive Search business, a Trustee at Sparks the children's medical research charity and retains active connections in the 'Arts' world. At Mint hotel David oversaw the creation of more than 40 active Arts partnerships between the hotels and local and National arts organisations. Taco is a real estate and hospitality professional with experience in investing in, advising on and the management of real estate and hotel assets. He graduated from the Maastricht Hotel Management School in 1998 and worked several years in hotel operations in China, Belgium and the Netherlands. Soon after, Taco went back to university to study for a Masters in Finance at Nyenrode University in the Netherlands. Post graduation he went on to work for the corporate finance leisure team at UBS Investment Bank in London. In 2005 Taco was given the opportunity to become one of the principals behind a new private equity-sponsored investment platform in Frankfurt, Germany where he took on both the Director of Acquisitions as well as the Chief Financial Officer role at Lohnbach Investment Partners. He later worked for Strategic Value Partners and Hanson Asset Management. At Hanson, Taco was in charge of all real estate related investment activities for the Hanson family and worked with a number of other family offices across Europe and the Middle East. Taco has invested more than €800 million of equity over the last 10 years. He is a fluent speaker of Dutch and German and has a working knowledge of French. 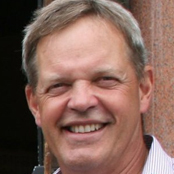 Peter has a proven track record as a senior commercial and operational leader in the hotel and hospitality sector. With success in managing corporate change including sale and refinancing of businesses, he leads teams to challenge and change processes to increase profits, improve efficiency and drive growth. 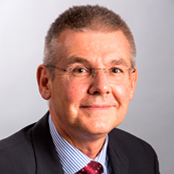 Peter has particular expertise in Revenue Management with prior senior Revenue Management roles held at Hilton and Travelodge. 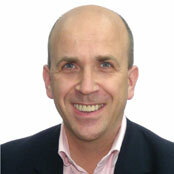 Peter was also previously Operations Director for Marriott Hotels franchised by Whitbread and De Vere Hotels. Formerly consultant to Mint Hotels for 4 years, David is experienced in all phases and scopes of design and architectural services. Prior to Mint David was the Project Architect for City Inn Westminster. David’s considerable expertise and track record is across all forms of new build and city centre projects. 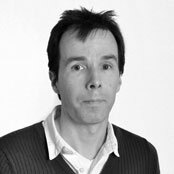 Nick is a distinguished award-winning architect with experience in the UK and Europe across all disciplines including masterplanning, visualisation and concept development. Nick was formerly Associate Director at Bennetts Associates and was the lead architect on the Mint Hotel in Amsterdam. Nick graduated from the former Berlage Institute in the Netherlands. 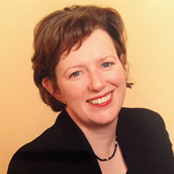 An experienced senior legal professional with over 20 years’ experience as a Principal in private practice and in house counsel Pauline is dual qualified in Scotland and England, and has a track record of multi-million pound responsibilities overseeing some of the largest developments in the hospitality sector in the UK and Amsterdam. Pauline also has extensive construction and operational experience and has a diverse high value knowledge of commercial litigation. 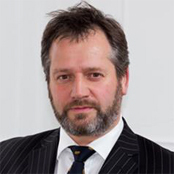 Ashley is a senior UK diplomat and expert speaker of Italian, French, German, and Mandarin. Working for a period on our development pipeline across Europe, Ashley’s understanding and expertise of a multiplicity of Global markets, cultural, legal and commercial knowledge adds greatly to Urbanist Hotels ability to localise in foreign markets.